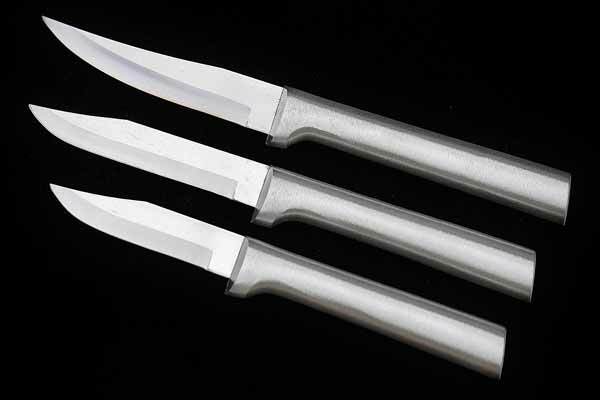 This set of Rada paring knives is the best cutlery set for processing fruits and veggies. Cooking knives were chosen for their lightweight and easy handling. Featuring the Peeling Paring Knife, Paring Knife, and Slicing Paring Knife. This knife set will meet all your paring, peeling, processing needs! Stainless steel. Comfortable. Sharp. I got these a few weeks ago, and they are the best knives I've ever owned. They are so sharp they just slide through veggies. They also hold their edge forever.